One of the selling point of PS4 is how easy it is to upgrade the hard disk and the process doesn’t void the warranty. It is also officially supported by Sony, and there is even a page detailing the step by step instructions. 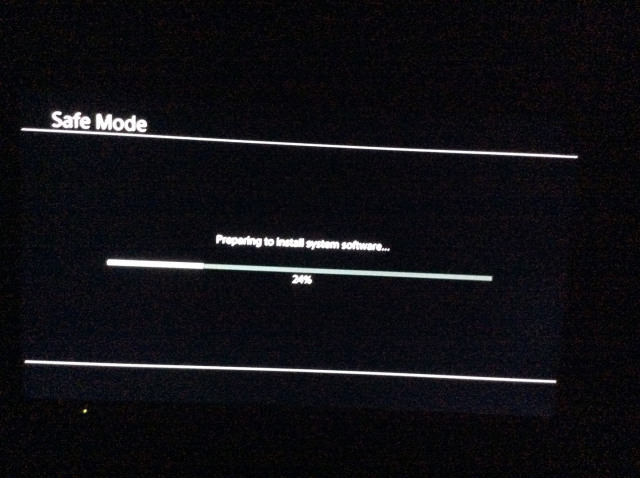 I’m too feel so eager to upgrade the hard disk of the newly bought PS4 to 1TB. 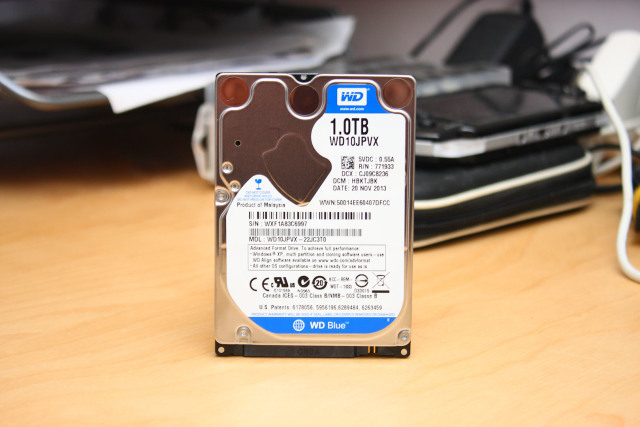 Ultimately, I want to upgrade to 1TB SSD. 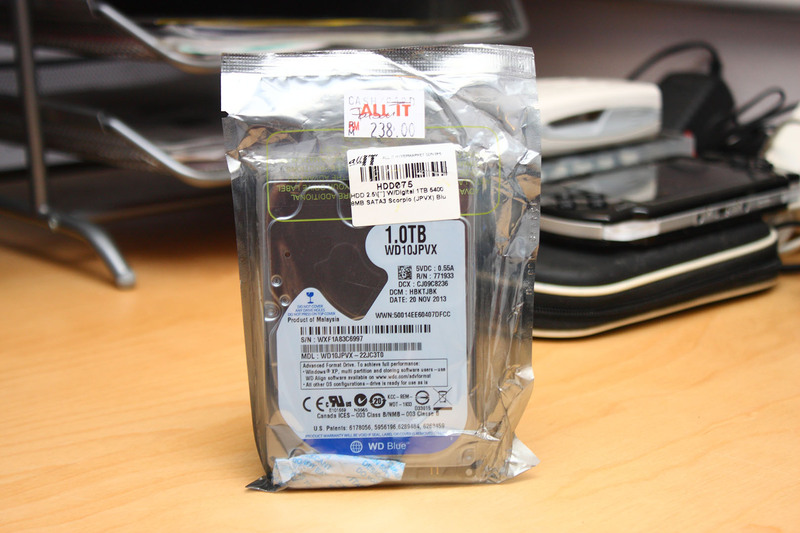 The only 1TB SSD available in Malaysia now is Samsung 840 EVO that costs RM2249! 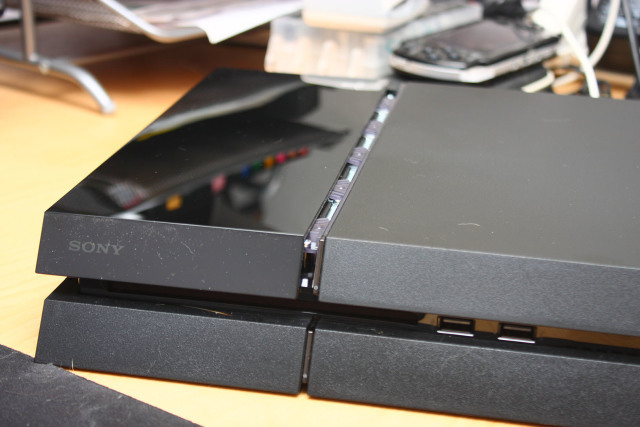 That the price for another unit of PS4 plus 2 games. 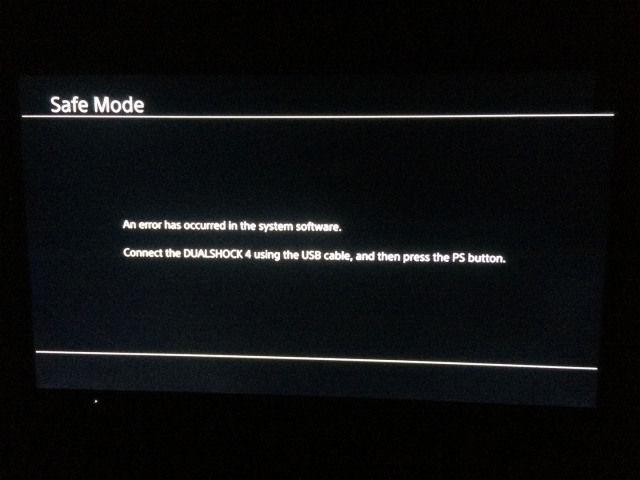 From the video that I saw on youtube, upgrading to 500GB SSD doesn’t really have much advantage over the loading time. 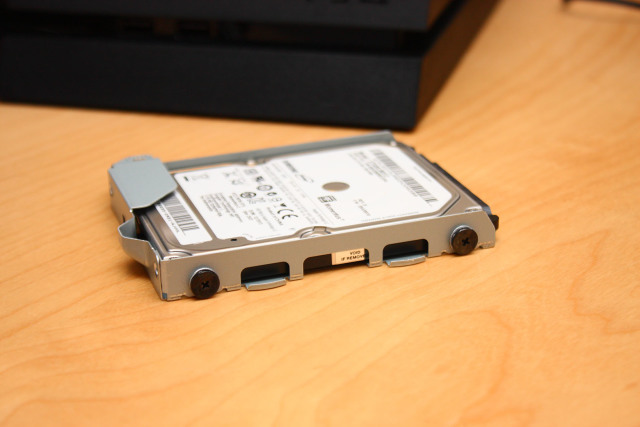 So I guess I’m fine to settle down with the normal 1TB HDD for now. As mentioned earlier, upgrading PS4’s HDD is super easy. First step is to slide the shiny HDD bay cover like so. 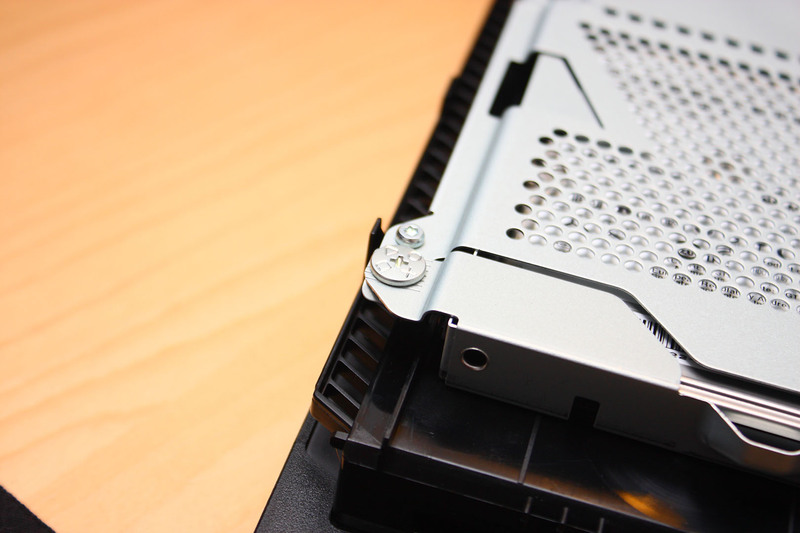 Then, this is the only screw that needs to be removed, then the HDD can be pulled out. Looks like PS4 is using Samsung Momentus 500GB hard disk. 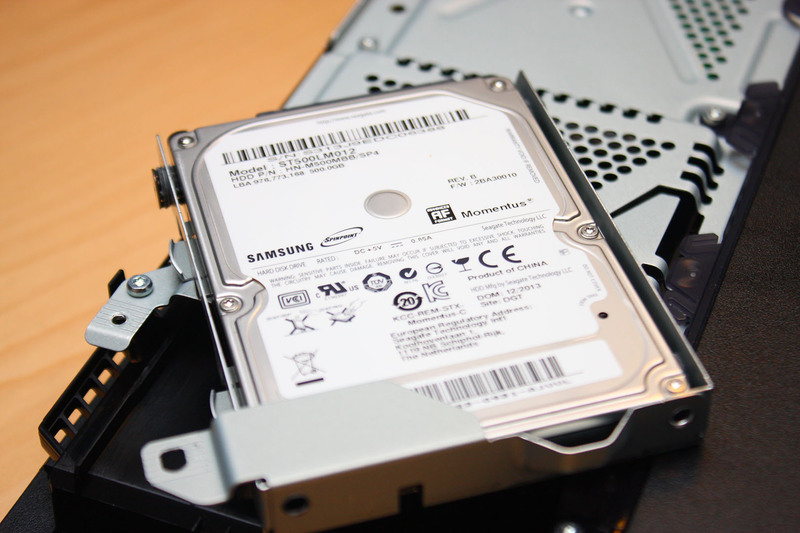 Then I need to remove the 4 screws holding the hard disk, and replace it with a new hard disk. 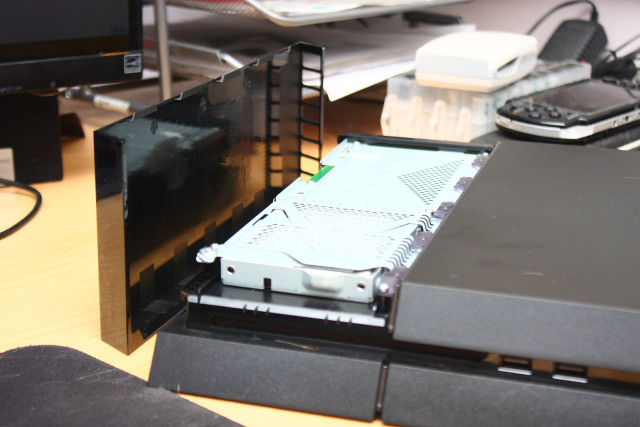 Putting everything back together, now it’s time to turn on the PS4 again. 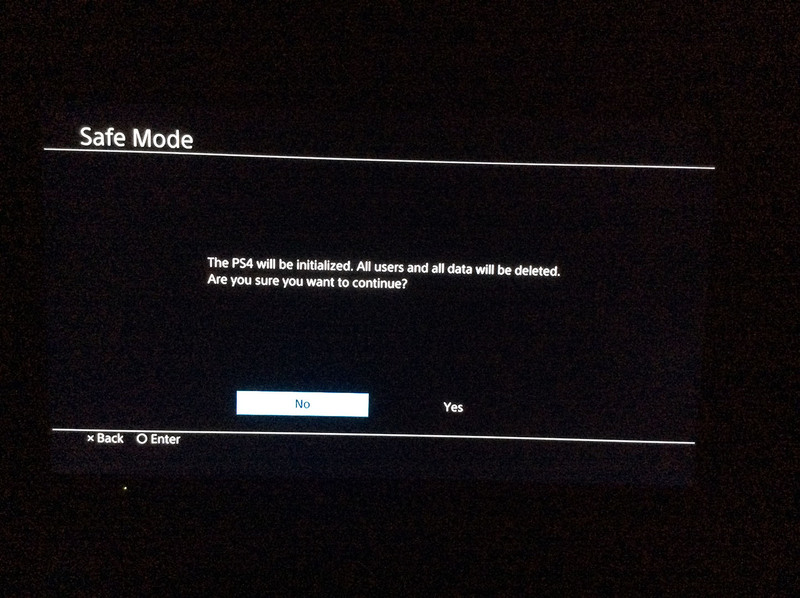 You don’t have to worry about the procedures of entering the safe mode, as after the hard disk is replaced with a new one, turning on PS4 will go straight into safe mode. 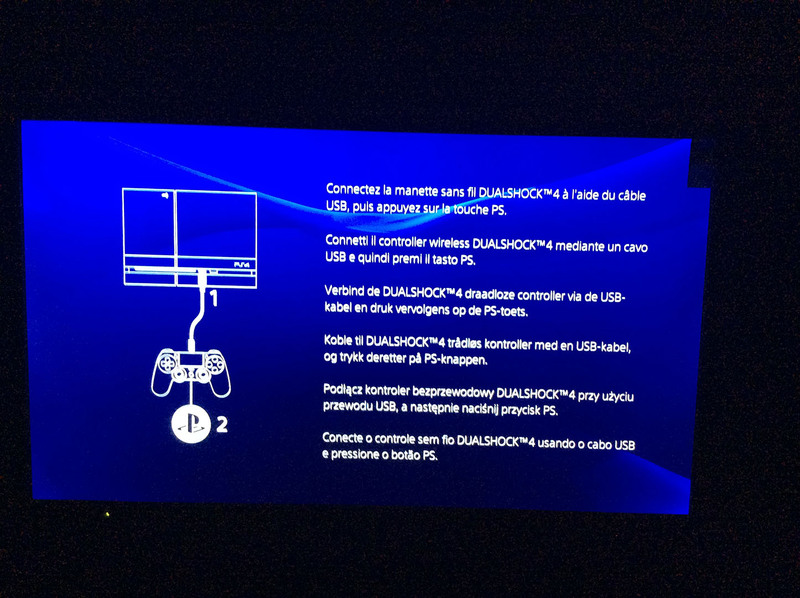 Connecting the controller to the PS4 using USB cable and pressing the PS4 button, I have to insert a USB storage device containing the latest PS4 firmware for installation. Reading various posts on the internet, you need to download the correct file. There are 2 versions that you can find on the internet. The first one is with the size of 335.6MB. 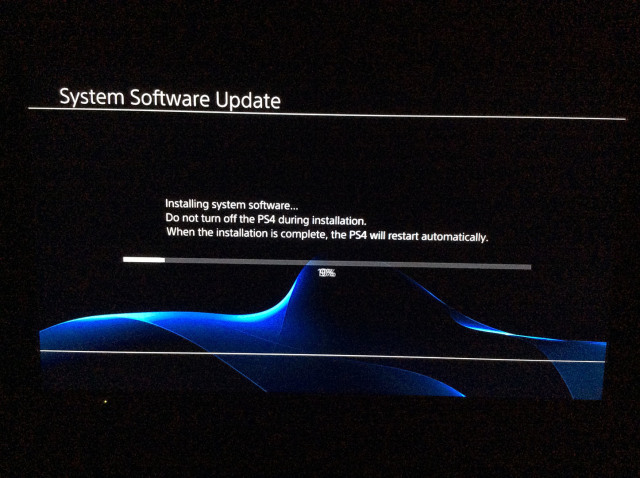 You shouldn’t get this one as this one is meant for updating existing firmware on PS4 (i.e. 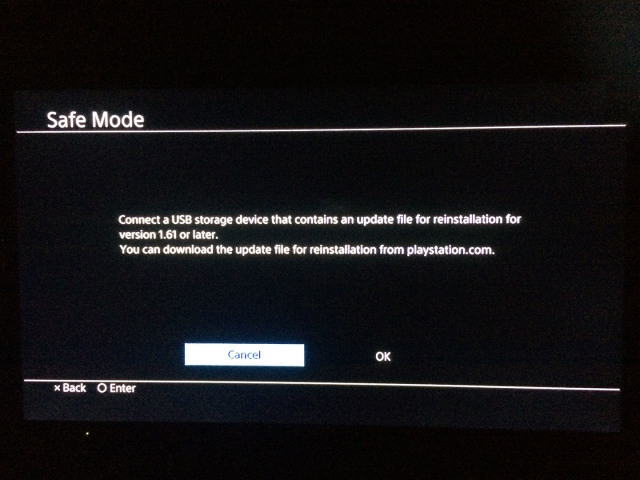 upgrading via USB storage). 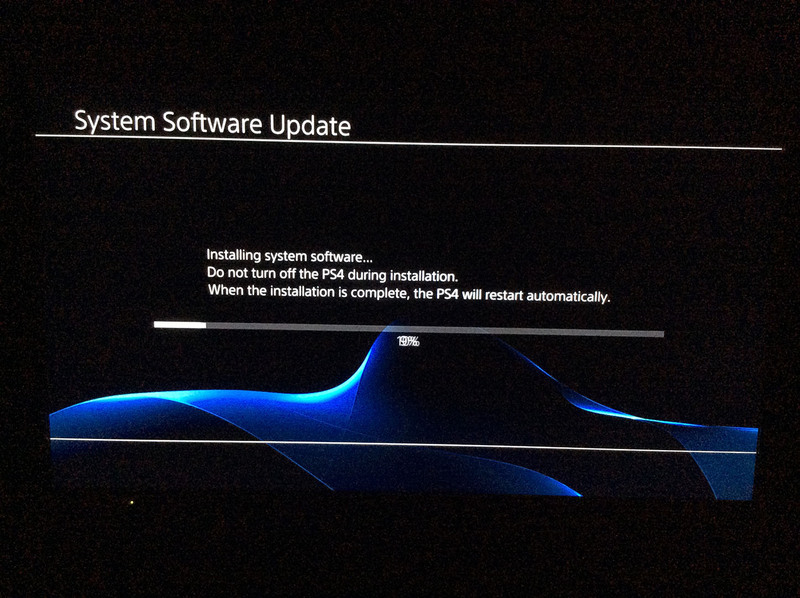 For the fresh installation, you should be getting the one for the new install with 919.9MB in size. 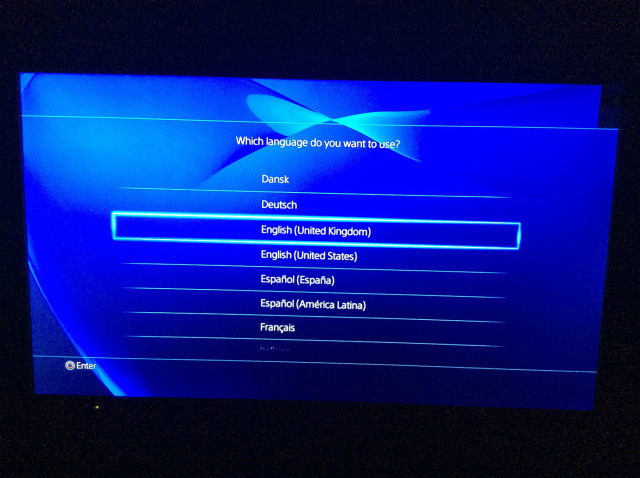 Took me a while navigating Playstation website before I found this page. If you have the correct firmware, and it is saved in the correct way in the USB drive (just refer to the instruction from the above link), PS4 will offer you to initialize itself and whether you want to continue or not. 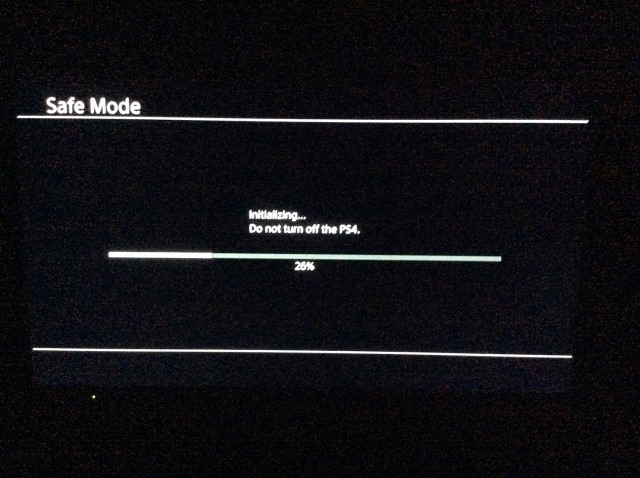 Once the firmware has been installed, you will see this screen again as what you see when your first switch on your PS4 after buying it. Then I have to go through the initial setup again – setting up account, PSN account, camera etc. Then I’m back in business again. 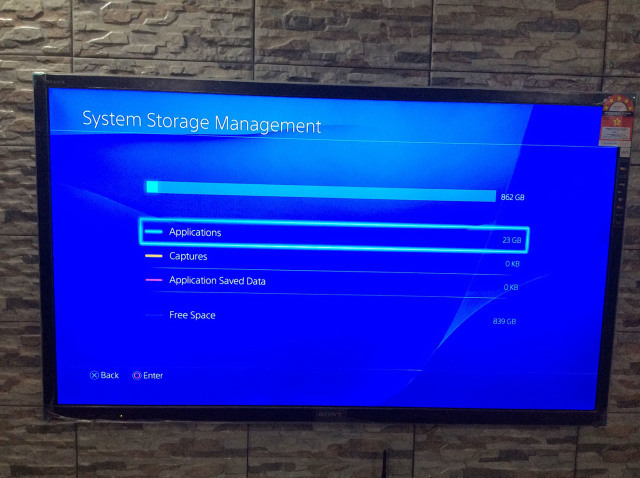 So I’m curious how much space that I have on PS4 now. 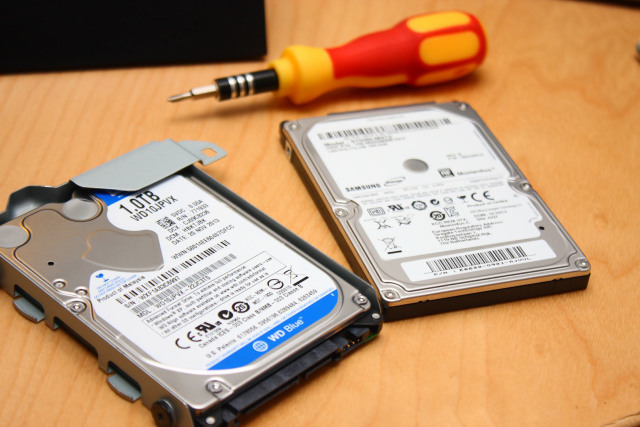 Well, out of the 1TB hard disk, only 862GB is available. I wonder where the remaining 138GB gone. I’ve been searching the web and it seems other people is seeing the same number too.